PLEASE CALL FOR CURRENT PRICING!.......................... PLEASE CALL FOR CURRENT PRICING! 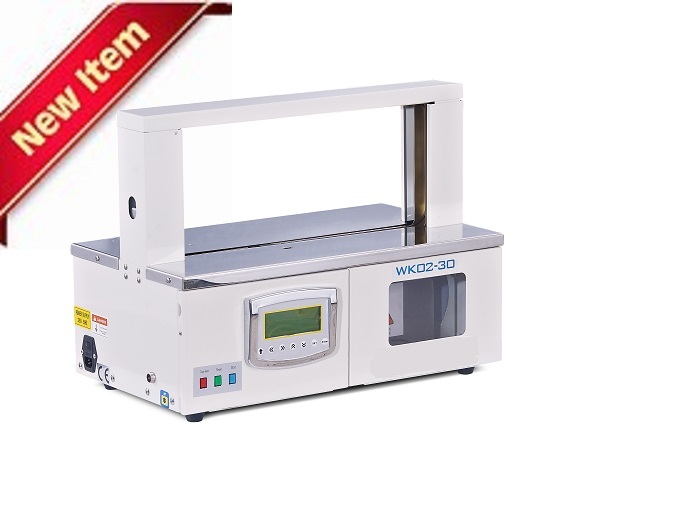 The WK series banding machine offers a versatile and compact design in a table top model. These lightweight, compact units provide reliable heat seal banding using either paper or plastic film material. The machines are very simple to operate and maintain and are much more efficient than manual banding processes.